Sometimes a great story is better than a Valentine. We put together our favorites — from tales of true friendship to all too familiar stories of heartbreak. roclus’ point of view, this coming-of-age story allows us to see Achilles not as a demigod but as someone with very human emotions and experiences, including being helplessly drawn towards Patroclus. I’ve read it thrice, and it has melted my stone cold heart every single time. If there’s a story that taught us that love can bloom through a connection not based on physical attraction, it’s Beauty and the Beast. This time-old tale (it’s influenced by Cupid and Psyche) tells us to see beyond notions of attractiveness and look for lasting and true affection. The love triangle of Rhett Butler, Scarlett O’Hara, and Ashley Wilkes set against the tumult and chaos of the American Civil War makes for a sweeping romance for the ages. Just imagine, all the declarations of love, the heated arguments, the vacillating moods, and the pleading to be loved—on par, in terms of volume, with the rumbling and booming happening outside. Indeed, Pat Benatar, love is a battlefield. 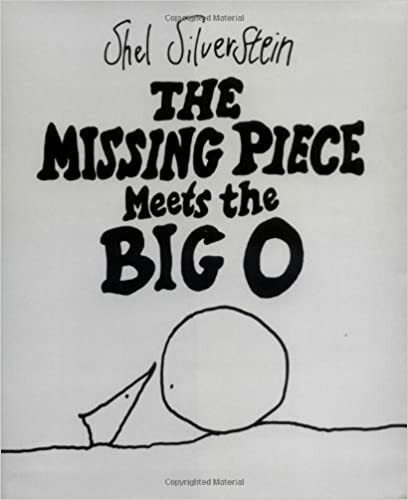 Shel Silverstein’s story shines in its simplicity, and it’s a welcome reminder—mostly to those of us who have forgotten with age—that sometimes finding who we are means letting go of those we once called home. It feels like a cliché but despite its seemingly typical premise — two people who don’t belong find each other — Eleanor and Park comes with a lot of gravitas, dealing with issues like cultural identity, domestic abuse, and body issues. The bond between Eleanor and Park is rooted in their mutual understanding of each other and the struggles the other face. The chemistry between Jane and Mr. Rochester almost literally jumps off the page to give the reader a wave of goosebumps. But more than the love story of their intellectual and temperamental compatibility hindered by their unequal footing in society — the triumph of Bronte’s novel is Jane and how she determinedly and stubbornly made her own way in a world seemed designed to break her. Ryan North takes a timeless tale of love overcoming the animosity between the families of Romeo Montague and Juliet Capulet (both of whom would rather die than not end up together) — and lets the reader play with the story. Now you get to choose your own ending for the OG love-shall-prevail story that inspired many telenovelas. A true testament to the saying, “love knows no bounds.” David Levithan goes beyond the conventional, even transcends our physicality as human beings, to show that true love can exist, no matter who—or what—you are. When I think of love stories, the first that come to mind is Lizzie Bennet and Fitzwilliam Darcy’s story of skewed first impressions and eventual character redemption. Lots of people swoon over Pride and Prejudice but I love it for its comedy. Mrs. Bennet’s scheme to make Jane sick so she can stay over at the Bingley’s to recuperate — what can be better than that? I first read this novel 10 years ago when I was 15 years old and I read it again when I turned 24 because it was just too good. The struggle of the male protagonist in choosing between the Priest life as a Spiritual Healer and the normal life with Pilar, his childhood sweetheart from their hometown of Zaragoza, really tugged at my heartstrings. It’s an emotional adventure where romance and religion meet. For all of the bookworms-slash-music lovers out there—this is an extremely LSS-inducing book that will take you in a roller coaster of emotions. Yanagihara’s second novel is not at all romantic. But it does show us a picture of real friendship and devotion. Jude and Willem’s relationship through the years changes and grows but it always remains true. Oscar, a chubby Dominican boy living in New Jersey, longs for love — real, true love — and he’s been pursuing it all his life, to less than successful results. The story is colorful, hilarious, and alive. What I most enjoyed was the glimpses it showed me of life in the Dominican Republic as well as the immigrant life. It’s not really a love story but it’s a story about love. And in the end, love turns out to be a matter of life and death for Oscar de Leon. The quiet, seemingly uneventful story of Kathy, Tommy, and Ruth wrecked me. As they go through their predetermined lives, the three boarding school friends ask what it means to love and what makes one human. As the story progresses, the mystery around Hailsham school and the lives of its students is unveiled, but what stayed with me is how Kathy and Tommy sought to reveal their souls capable of love. 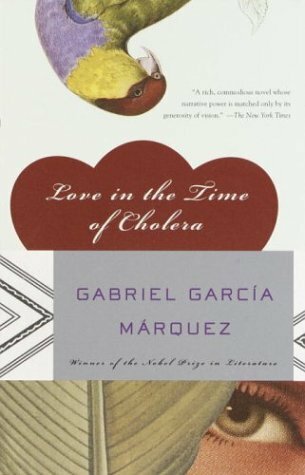 Though it isn’t my favorite among Marquez’s novels, Love in the Time of Cholera examines loves in its many forms — from the ideal and romantic to the perverse. Marquez turns the “love story” on its head by making us root for Florentino even when he is unfaithful and selfish. Marquez is definitely telling us to scrutinize the disease that is love. Read a beautiful dissection of an unexpected romance between Min, a film geek, and Ed, a high school jock. Because you already know how it ends, you can savor the story — anchored on the little things that passed through the couple — and linger on the shared memories of your first heartbreak. If you love stories of folklore and mythical creatures — you get to live vicariously through the characters of Mythology Class as they discover a world where tikbalang and engkangto walk among us. 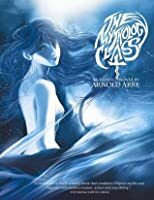 As you read Mythology Class, you’ll discover a love for your own culture, nation, and fellowmen at the same time the class does. A friendship between a pig and a spider is hilariously unlikely but White’s heart-wrenching story of the Charlotte and Wilbur transcended my childhood reading and remained with me till adulthood. The scene at the end of the fair still makes me cry. As kids, we had a hard time grasping the idea of love and how to express this utterly alien concept. Big Nutbrown Hare and Little Nutbrown Hare helped us understand how to express how much we love someone. What’s your favorite love story? Share with us in the comments! Want any of the titles? Send us an email at greatreads@fullybookedonline.com or get it online. What about Flipped? or Ugly Love? I recommend that two.